Jodie and I have each submitted our own pieces to The Artists’ Gallery 11th Annual Box Show and Silent Auction. Opening reception is March 3rd, 5 – 9 pm. They will be on display until March 31st, and bidding ends at 8 pm sharp on March 31st. We will be donating 50% of the sales to the gallery. 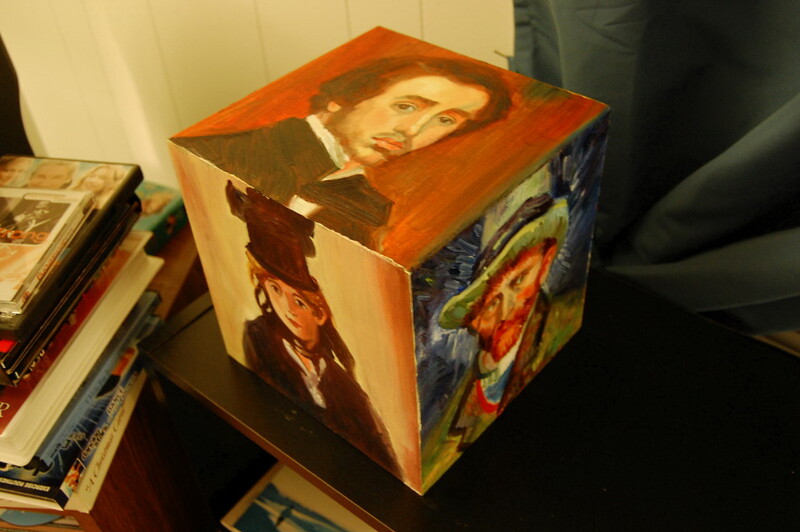 They provided the 8″ x 8″ x 8″ wooden boxes, and we turned them into art. The picture’s aren’t great, so I encourage you to see them in person if you can. Jodie did five copies of master artworks, self-portraits of Vincent Van Gogh, Paul Gauguin, Mary Cassatt, Berthe Morisot and Edgar Degas. 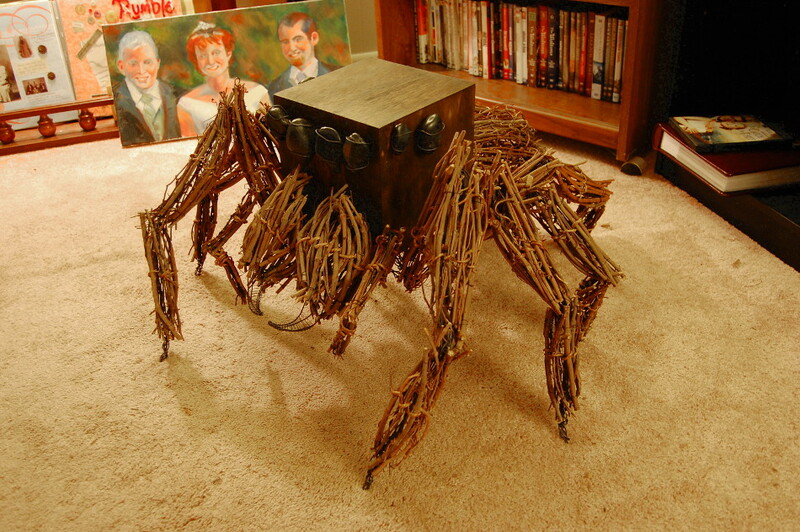 Here is my sculpture, a jumping spider made with the box, river stones, steel wire and dried grape vines.